A central component of how the Science Museum has published my novel Shackleton’s Man Goes South — and thus of the display about the novel in the Museum’s Atmosphere Gallery — is that it is being given away in the Science Museum via a touchscreen ‘ebook dispenser’ developed especially for the purpose. (Read more about the novel itself here, here or here. Read more about how we published here.) The touchscreen has now been up and running for nearly six months, which may be a good point to look at how it has worked so far. Touchscreen kiosks and information points are of course a familiar feature in museums, but as far as we know this is the first time one has been used to give away an ebook ‘on-gallery’ (as they say). Of course, museum or industry-spec touchscreens of this kind (whether wall-mounted or free-standing) are expensive, but certainly not beyond reach of other kinds of arts venues or in parts of the book trade. One could easily imagine a kiosk like this being used to give away an ebook of an exhibition catalogue or a programme, or being used by larger bookshops, by literary festivals or even publishers to distribute a promoted title. The Science Museum are giving away Shackleton’s Man Goes South for free, that is part of the ethos of the project, but there is no reason why the process couldn’t include a secure purchase page. The touchscreen we are using to give away Shackleton’s Man Goes South is a portrait format unit, with sound, that is housed in a steel box and wall-mounted beneath Jake Tilson’s melting logotype, at one end of the custom-designed display case. The glowing screen is just visible at the far left of the installation shot of the Shackleton’s Man Goes South display above. Using a simple, six-button homepage, the Museum visitor can e.g. find out more about the novel, listen to a short audiobook extract, or participate in a visitor poll about climate change. They can also email themselves the book, a function that enables many smartphone users to begin reading the novel there and then. Rather than emailing every reader all possible files, the email contains a link to a closed page on the Science Museum site from which they can open or download the book in whichever format is compatible with the device they want to use. Email addresses are not kept. The Museum offer the novel as an EPUB or mobi file (both are DRM-free) and as a PDF for on-screen reading on PC or laptop (based on reader feedback, we recommend PDF rather than Adobe Digital Editions for on-screen reading). Some readers with Android tablets also report opting for PDF. The aim was to make the transaction as quick and simple as possible. The comparison we used was that it should be as easy as buying an ebook on Amazon. Readers with Kindles and some other devices need to side-load the files via USB, which is still very straightforward, but the really exciting thing has been that readers using iBooks on iPhones or iPads, and some other devices, can be reading the book in situ and within a matter of seconds, in just three taps of their screen. 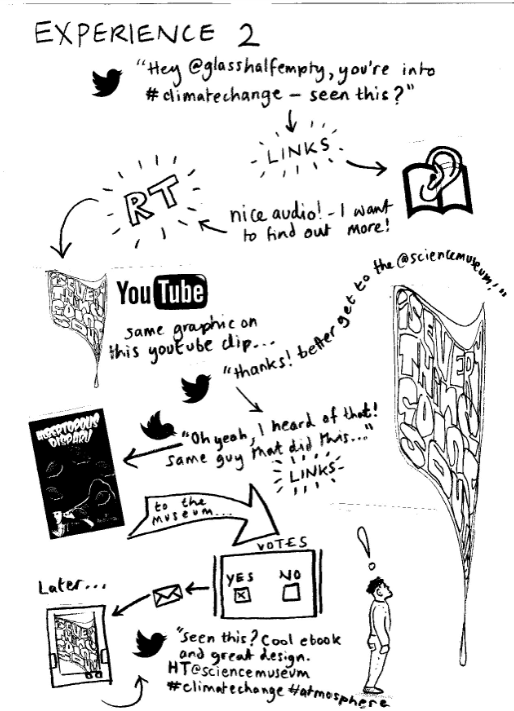 The concept of this as a reader experience came first, before we knew if it was achievable. 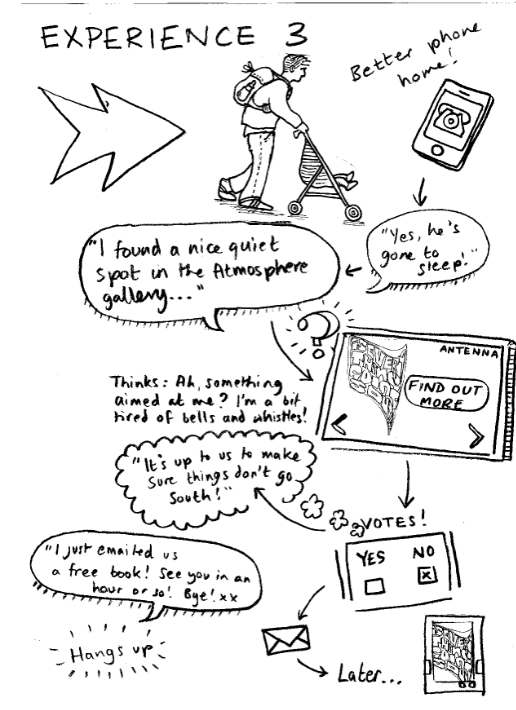 In the earliest stages of the commissioning process, the Museum asked me to think about how visitors might encounter and engage with the novel, so I had a bash at drawing some ‘experience maps’ to show how I thought it might work. Here are two of those sketches. An existing Museum system (the Antenna news service) already allowed visitors to email themselves a static HTML page, and I initially thought we might need to piggyback on that, but to do so would only have given us a very brief platform in a quickly changing news cycle, so we switched to the idea of visitors emailing themselves from a dedicated terminal. This raised its own technical challenges and for a while it seemed to be touch and go if it could be made to work at all. In the event it has worked brilliantly well, and proved to be very robust, only breaking down once to date (as an unforseen by-product of a planned server migration) a couple of weeks ago. Interestingly it was a reader who noticed that the system had broken down and alerted us to the fact instantly, via Twitter. One breakdown — under punishing museum conditions — of a custom-built piece of kit like this in the six-months since the book was launched is pretty good going I think, so full credit to the teams at the Science Museum for doing such a great job. Whenever I’ve been to show people around the display or demo the touchscreen unit, as I frequently need to do, there have always been people playing with the screen and emailing themselves. Often singly, but sometimes as a group (e.g. two or more people with iPads or tablets, or someone showing a companion how to do it). 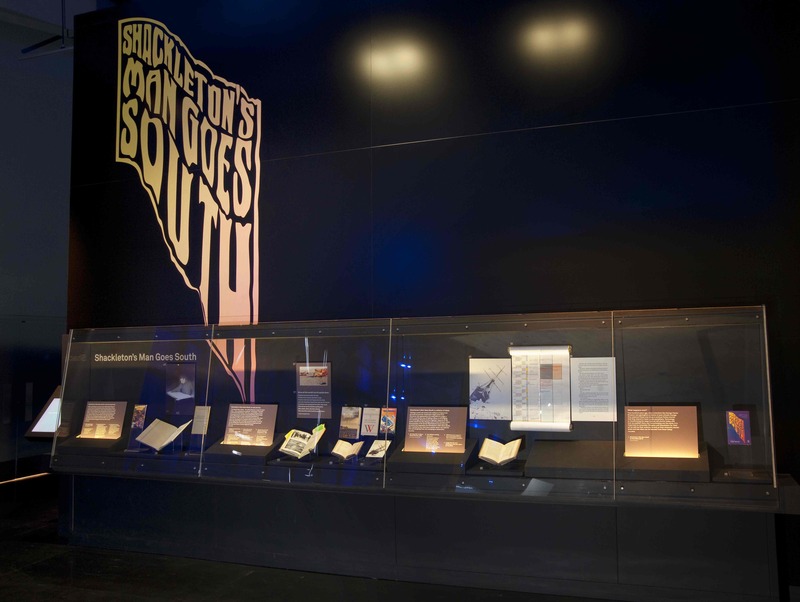 The Shackleton’s Man Goes South display runs for a year (until 24 April 2014). The initial plan was for the novel to be available via the touchscreen for the full year, but from the Museum’s website only for the first three months. However we found that readers and reviewers quickly found a workaround, starting to link directly to the files on the closed page even before the three months were up, rather than to the more controlled information page that was promoted around the launch. In response to this the Museum and I now also point readers straight to the files where-ever we can. 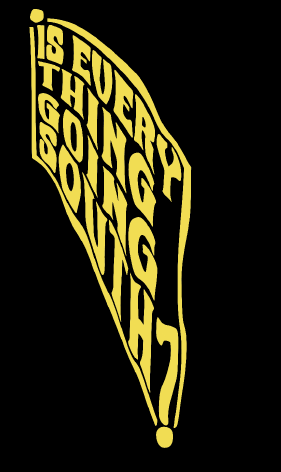 The visitor poll that we are running on the terminal asks, ‘Is everything going south?’ Six-months in, I can reveal that 65% of participants in the poll have said YES.